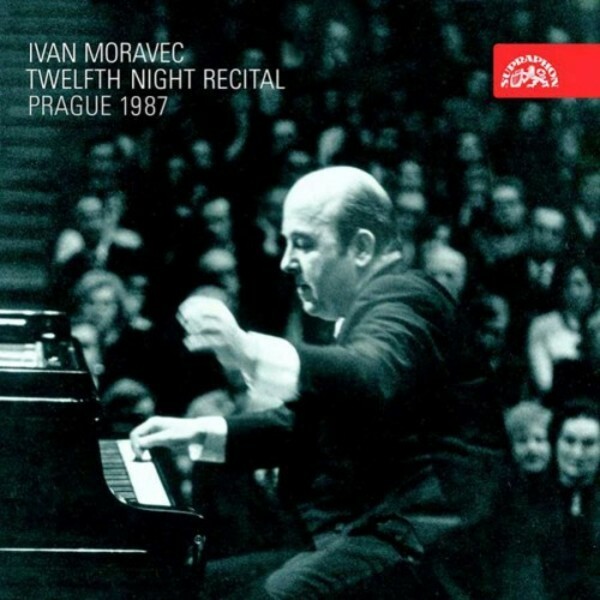 This live recording of Ivan Moravec at the Rudolfinum in Prague was to have been first released on the occasion of his 85th birthday. The previously unreleased recording was discovered after 28 years in the Supraphon archives, and it managed to pass the test of the great artist�s uncompromising self-censorship. Moravec�s playing of Bach, Mozart, Beethoven, Chopin and Debussy at this concert meets the same standards as his finest recordings � technical refinement of details, carefully elaborated architecture, and rare inner vitality. Ivan Moravec�s masterful performance is further enhanced by the special atmosphere of a live concert. The earthly journey of this great pianist of the twentieth century and of this extraordinary person came to a close in July of 2015. This recording is left behind to us as his last message and statement about beauty. Recorded live at the Dvoř�k Hall of the Rudolfinum, Prague, on 6 January, 1987.